This new café, which opened some 6 weeks ago, is exactly as the name suggests – just another trendy, foodie café. Newly opened and full of promise. But, unlike other trendy cafés, it has cushions. Nice, colourful, soft cushions, arranged on an attractive couch that would have been really uncomfortable otherwise. 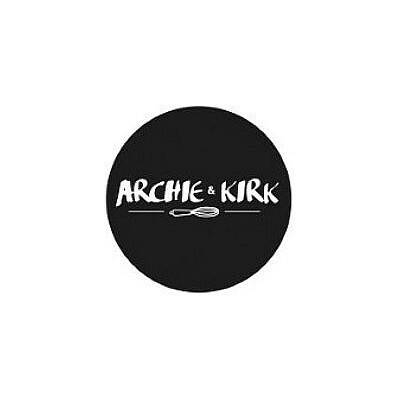 This comfortable seating combined with a relatively quiet location, nice food and personable staff, make Archie & Kirk a lovely little café to spend a morning in, reading a book or magazine, or catching up over a bit of coffee and cheesecake. The coffee served here is courtesy local roasters, The Little Marionette. 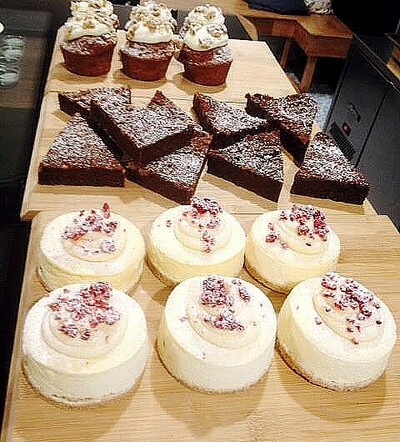 The range of cakes and snacks on offer changes daily, but their permanent menu is a fairly constant selection of light meals. I wouldn’t be a responsible reviewer if I didn’t try a variety, so of course I had to. 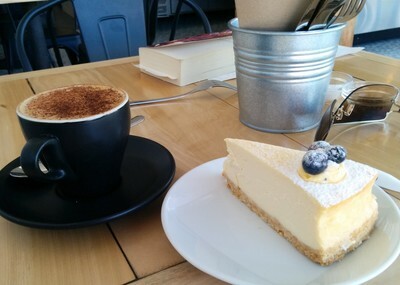 My first choice was my usual go to, the lemon cheesecake ($5.50). 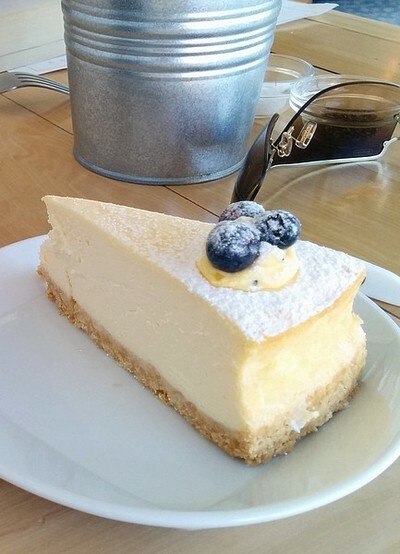 This cheesecake had a nice touch of tart lemon flavour and a soft base. While the filling was smooth and creamy, I found it to be heavy and a little cloying. The carrot and walnut muffin ($4.50) however makes for a delicious treat and is topped with a creamy, lemony icing - it's definitely worth a try. I know it's a little backwards starting with dessert and all, but like I said, I've got a soft spot for cheesecake. If it's savouries you're after, the house-smoked salmon salad, a varied blend of fresh vegetables including rocket and fennel, with smoked salmon and a creamy lemon dressing ($18.00) is hard to beat. The only problem is that the salmon is completely cooked through, and although it has a strong smoky taste, is not as delicate as other commercially prepared smoked salmons. If fish and cake aren't your thing (really though, whose thing isn't cake?) you can always go for a standard bacon and egg roll which will set you back around $7.00. While reasonably priced and freshly made I still found it dry and a bit burnt. 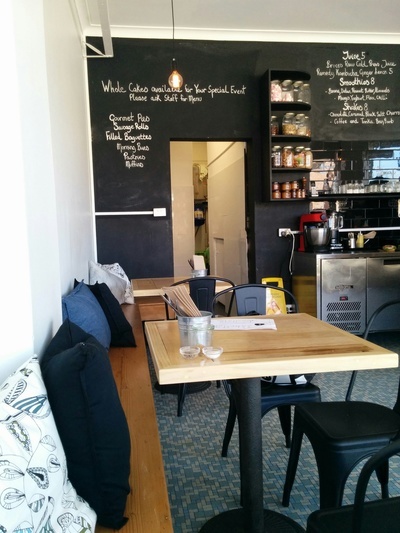 This isn’t a perfect café – it’s expensive (the whole area seems to be going through some gentrification recently and has become quite expensive), and a little out of the way. But the food is good and the atmosphere relaxing and enjoyable. Where: 109 Marrickville Road, Marrickville, 2204.